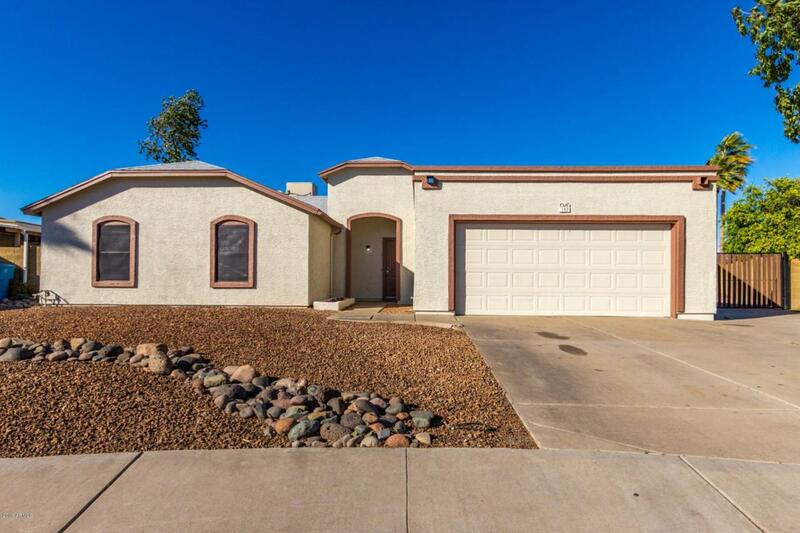 Peaceful & serene backyard setting features sparkling pool & hot tub room, meticulous desert landscape w/grassy play area, covered patio, RV Gate & RV Parking! Perfect Home for entertaining. 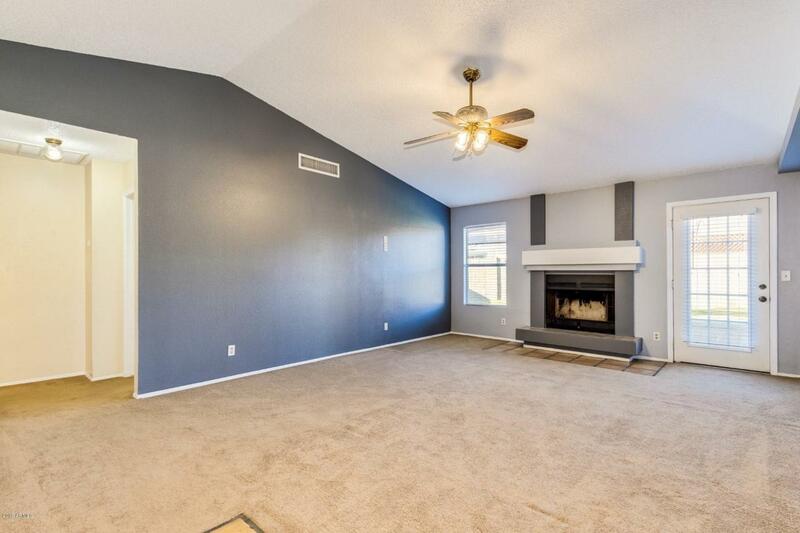 Soaring ceilings, custom palette, cozy fireplace, French door to patio, plush carpet, ceiling fans, & window blinds. Spacious eat-in kitchen boasts tile floor, stylish counters, SS appliances, pantry, & plethora of gray wood cabinetry. Patio access from family room. Grand master retreat offers neutral carpet, private en suite & large closet. 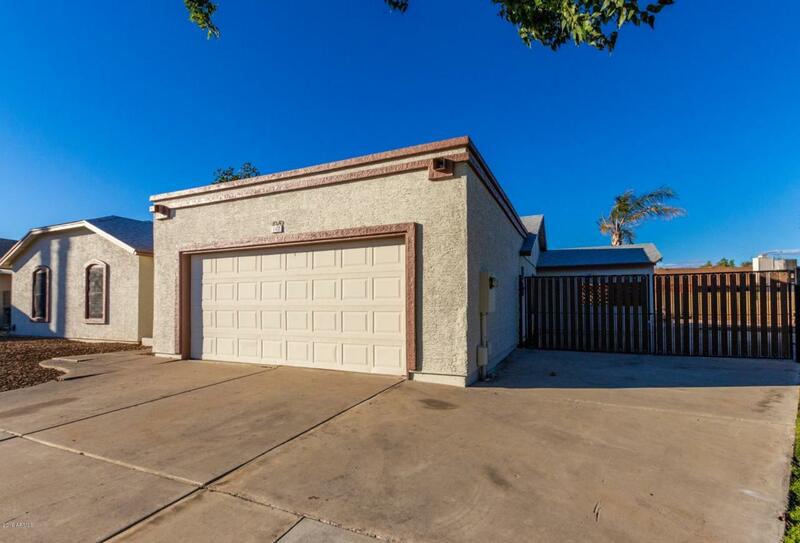 2 Bedrooms w/wood ''look''floors & ample closets. 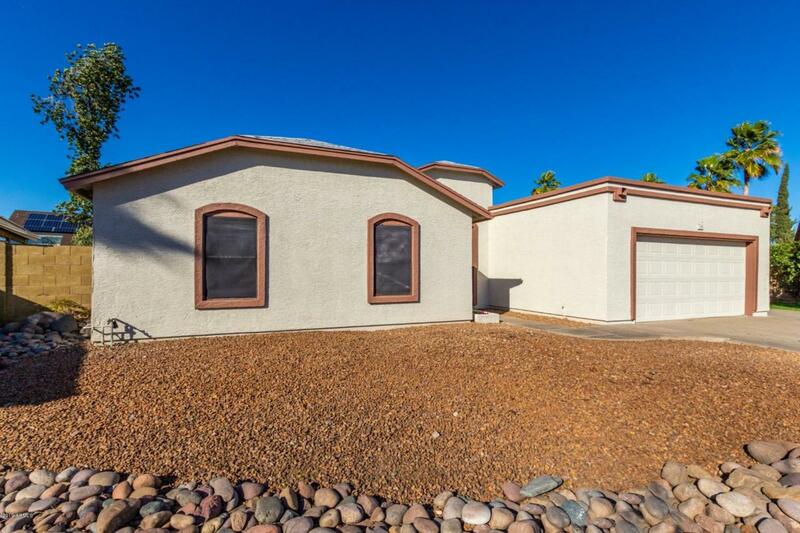 Close Shopping & 1 block from Cactus View Elementary. This home will not last!